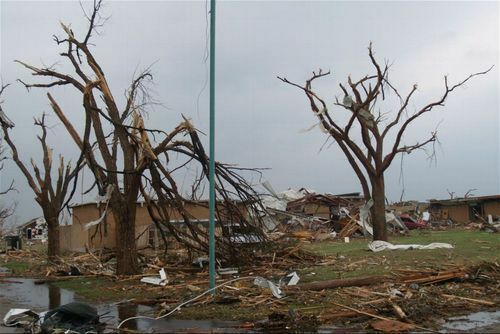 These photographs show damage to Greensburg, Kansas, after an EF5 tornado struck the town on May 4, 2007. The tornado was part of a storm system which effected south central Kansas. About 95% of Greensburg was destroyed, thirteen people were killed, and at least sixty people were injured.